Grilling season is finally here in the Northeast! This opens up an endless number of meal options as we grill everything - meat, fish, veggies, potatoes, even noodles in a foil packet. I tend to eat healthier when we grill. No creamy, cheesy sauces; no breaded chicken or chops, and nothing fried. 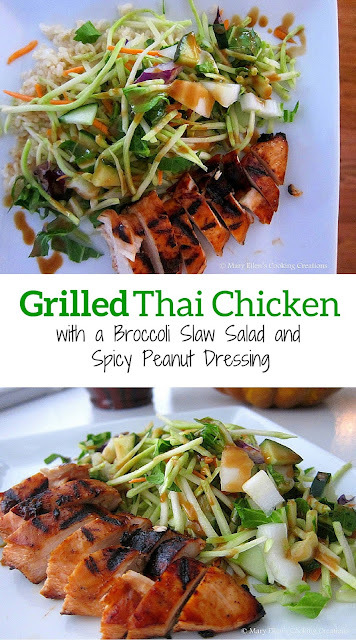 My favorite grilled meal is marinated chicken with a hearty salad, like this Thai Chicken Salad. I actually made this one last fall and can't wait to fire up the grill to make it again soon. Mix the marinade ingredients and pour over the chicken. 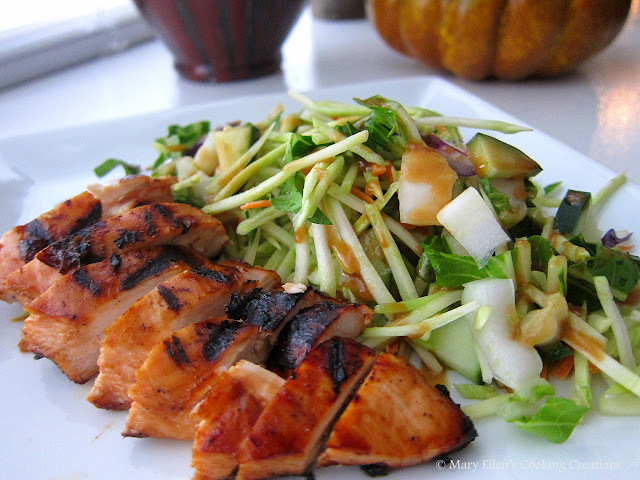 Marinate in the fridge for at least 8 hours. Mix the salad ingredients; keep cold until ready to serve. 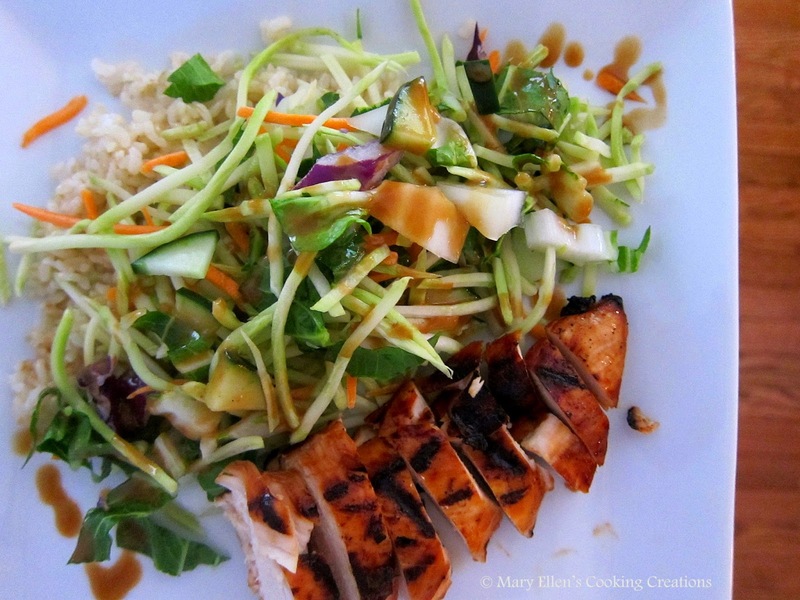 Make the dressing shortly before dinner - just mix everything well, taste and adjust. Grill the chicken until internal temperature reaches 165 degrees. Remove from the grill and let rest at least 5 minutes. Slice and serve. really fabulous idea and what great photos! You have really come into your own! I'm making this over the weekend!